Get ready to be able to see like the Predator! 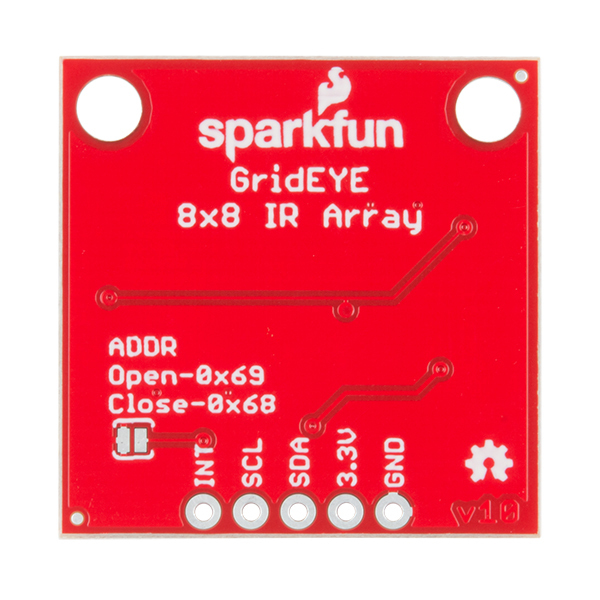 The SparkFun Grid-EYE Infrared Array Breakout board is an 8x8 thermopile array, meaning you have a square array of 64 pixels capable of independent temperature detection. It’s like having a thermal camera, just in a lower resolution. 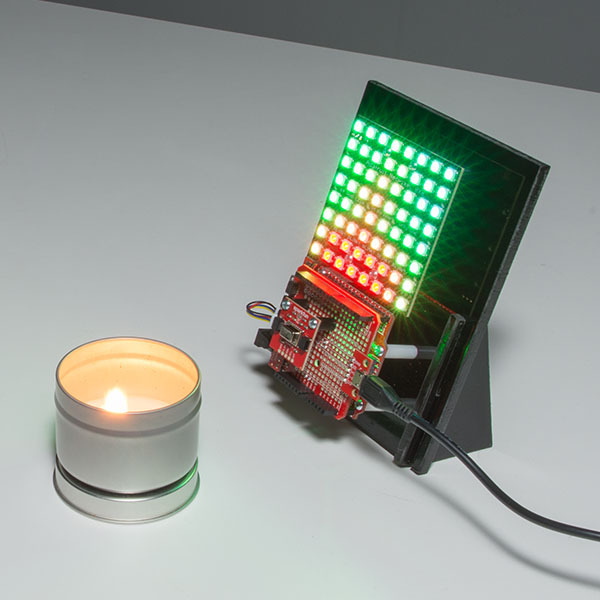 To make it even easier to to get your low-resolution infrared image, all communication is enacted exclusively via I2C, utilizing our handy Qwiic system. However, we still have broken out 0.1"-spaced pins in case you prefer to use a breadboard. The on-board AMG8833 Grid-EYE possesses an accuracy rate of ±2.5°C (±4.5°F) with a temperature range of 0°C to 80°C (32°F to 176°F). Additionally, this IR "camera" board can detect human body heat at about 7 meters or less (that's about 23 feet), and has a frame rate of 10 frames a second to one frame a second. 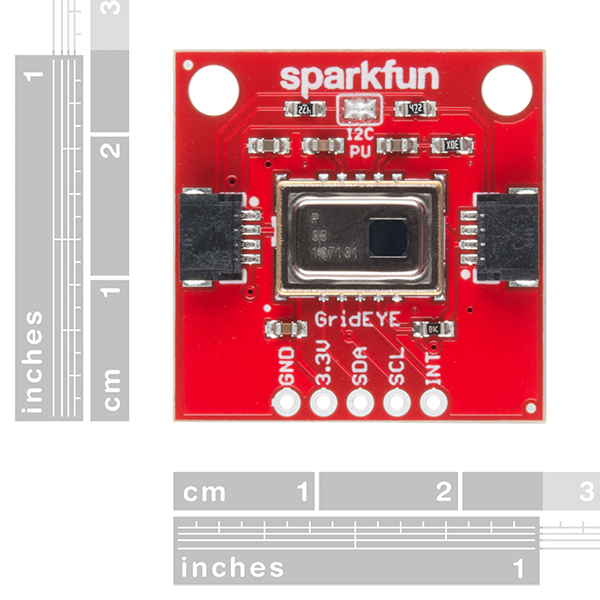 It is important to point out that while this version of the Grid-EYE is the high performance type with a high gain, it is only 3.3V tolerant. IE: Don't try to operate it at 5V (you won't have a very good time). 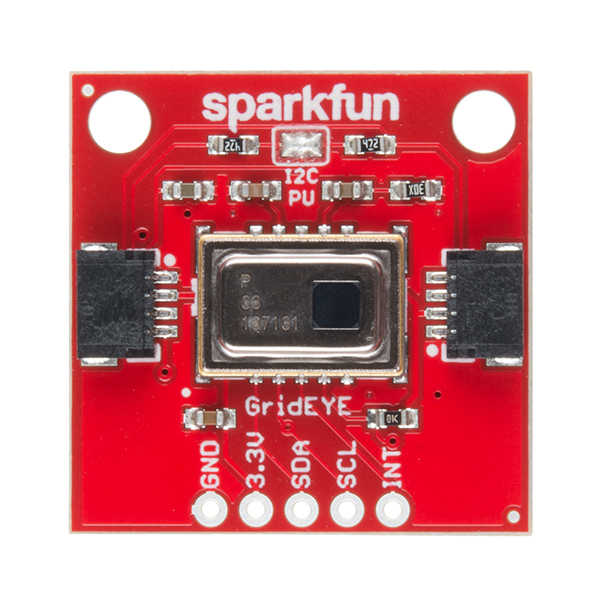 I worked with the Grideye pretty extensively a year ago and ended up moving to the much more expensive FLIR Lepton module. The Grideye is nice for the price point but suffers from a much higher effective noise level. Some of the noise is due to the underlying technology, but some has to do with the large "pixel" size. Each pixel covers about 7.5 angular degrees. This means that at 8 feet, each pixel is about 1 foot square. A heat source, such as a human head, will only cover part of that pixel. The reported pixel value includes the heat source as well as the surrounding cooler areas, yielding lower values much closer to the background level. It should work well for larger heat sources and at closer distances. This is an amazing price for any thermal imager, but 8x8 seems constricting for a lot of applications. While something like the FLiR Lepton is beyond my budget (for now), I'd love to see a breakout board for this component. It appears to be a happy compromise in resolution and price point, though its a little difficult at the moment for a hobbyist such as myself to acquire. 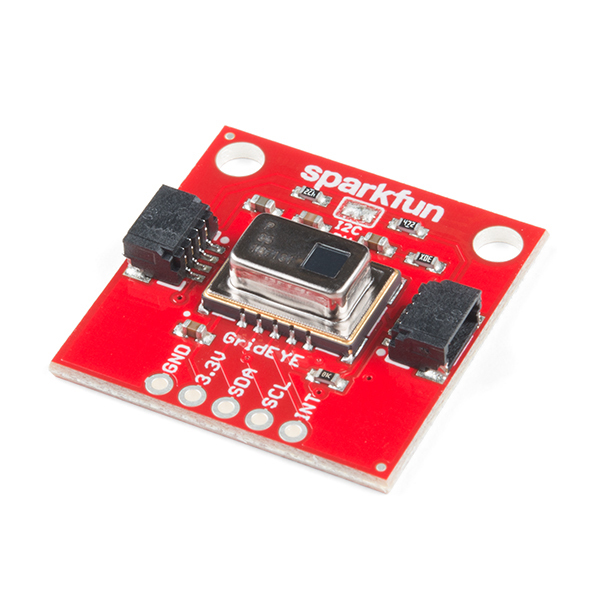 I'm sure a popular distributor like Sparkfun could get some ;D Thanks for reading my comment!